Solar roofing makes a lot of sense. However, a lot of homeowners have second thoughts about installing solar panels because they are often unattractive, causing them to drag down the curb appeal of homes. Every home has its unique needs, and a growing number of residents in the region are looking for solar technology solutions that not only boost their home’s energy production and investment returns, but also the aesthetics of their house. Here at Spicer Bros. Construction, we take all the necessary steps to not only help reduce your electric consumption but also make sure that your new solar panel system is installed correctly using the most innovative and aesthetically pleasing solar products on the market. After sending our team through extensive training, we have been granted the GAF Master Solar Elite Contractor — a first in the DelMarVa area. Lower Energy Bill – When you install a solar system, its panels become your primary energy provider, and not your traditional systems. This can help reduce your electricity consumption for the next 20 years or more. Increased Property Value – Since they help your household gain energy savings, a solar system should increase the value of your property. The National Appraisal Journal states that every dollar saved in annual utility bills from solar energy systems adds roughly $20 to the total value of a home. Unexpected Cost Effectivity – In many cases, a solar energy system has been able to generate twice as much savings as the installation cost was to the property owner. Traditional solar systems have clunky panels that are installed using racks and brackets. They can be bulky and unsightly, which causes hesitation for homeowners looking to utilize solar panels. Fortunately, there is now an answer for that. GAF, the leading roofing manufacturer in North America, has introduced its DecoTech solar roofing system—the first solar roofing product that can complement and boost the aesthetics of any architectural style. It has sleek and low-profile features and is integrated directly into the roofing system, not awkwardly mounted above the shingles using a rack. GAF, however, did not only created this system to boost your home’s aesthetic features. Most importantly, the DecoTech system is designed to let you harness the greatest amount of solar energy as possible while preserving your roof’s structural integrity. Manufactured with the most advanced materials and technologies, it helps minimize the chance for leaks and prevents pests from infiltrating your system. To perform its best, GAF’s DecoTech system requires the skills and expertise of a professional roofer. That’s the reason you need to hire a certified contractor, like Spicer Bros. Construction, when you feel the need to install this innovative system. We can help ensure the highest quality of workmanship for your project to help you gain the utmost peace of mind you deserve. 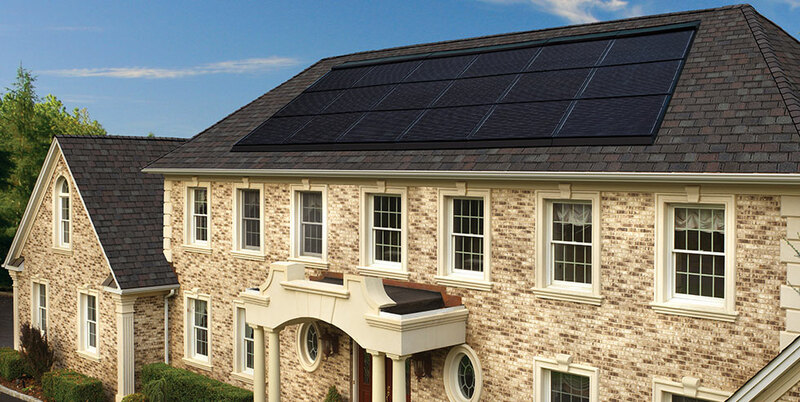 Let us help you set up the right solar panel of your home. Start your journey to getting a more sustainable and energy-efficient home by calling us at (855) 375-0840 or by completing our form to request your free estimate today!